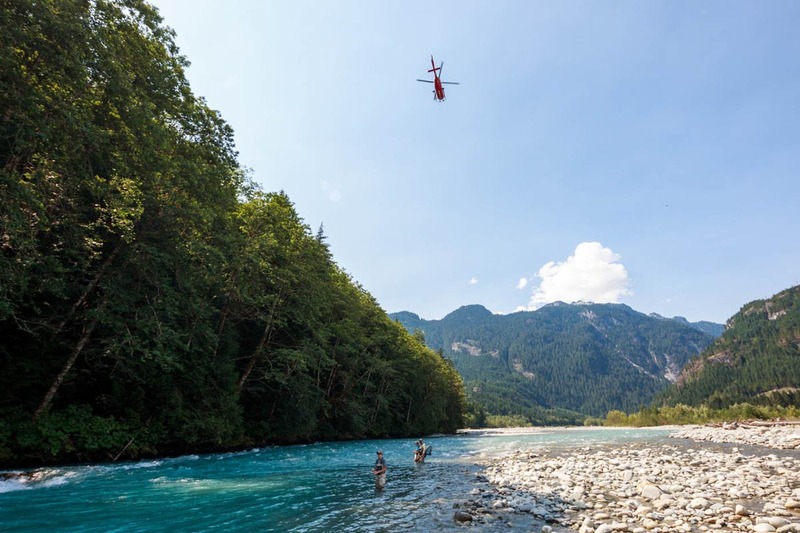 Helicopter fly fishing trips near Squamish, BC | Valley Fishing Guides Ltd.
Let our 19 years of heli-fishing experience take you to some spectacular fly fishing for bull trout and coho salmon. Imagine taking a helicopter into a remote mountain lake or coastal river for a day of fun-filled fly fishing enjoyment and spectacular scenery. 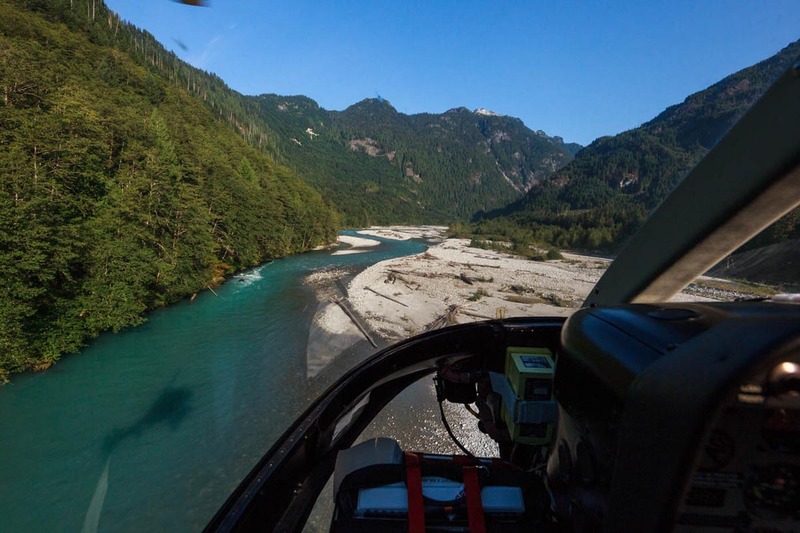 Come experience heli-fishing in British Columbia - Remote fly fishing at it's finest! A True Remote Fly Fishing Wilderness Experience. Fly Fish British Columbia's Best Coastal Wild Salmon and Trout Streams! Heli-fishing is available year-round! Depending on the time of year you can fish for giant bull trout, wild rainbows or salmon and steelhead in some of the most pristine rivers available! Call or email now to begin planning your heli-fishing trip. These trips are limited and require advanced planning. Please inquire online or call us toll free at 1-877-858-7688. At Valley Fishing Guides, we offer some of the most unique, helicopter fly fishing trips near Whistler, Squamish, and Pemberton in beautiful British Columbia, Canada. In addition to the pleasure of fishing pristine lakes and rivers, the helicopter trip makes this an adventure you won’t soon forget. Enjoy sweeping views of snow-capped mountains, lush forests, and crystal clear lakes and rivers that you can’t find anywhere else. 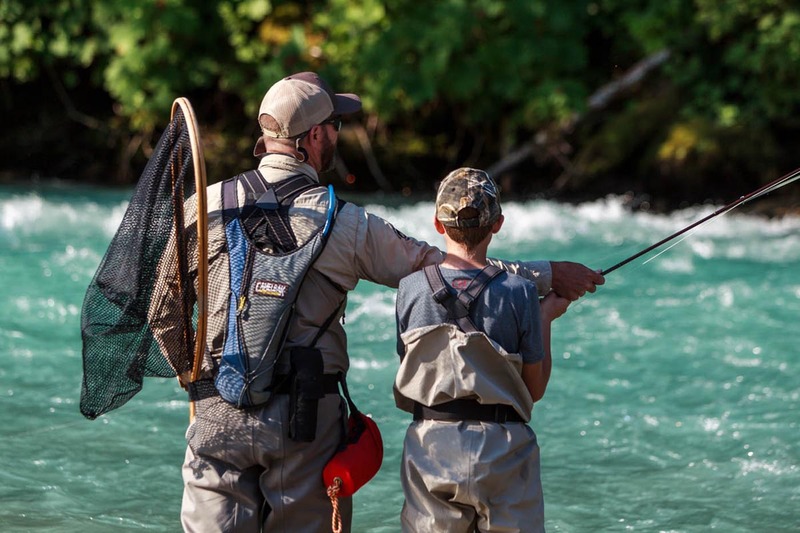 Depending on the season, you can expect to fish for giant bull trout, wild rainbows or salmon and steelhead in some of the most pristine rivers in North America. Our exceptional team of guides bring an unparalleled experience in fishing the Sea To Sky systems. Helicopter fishing trips are exactly what the name implies. 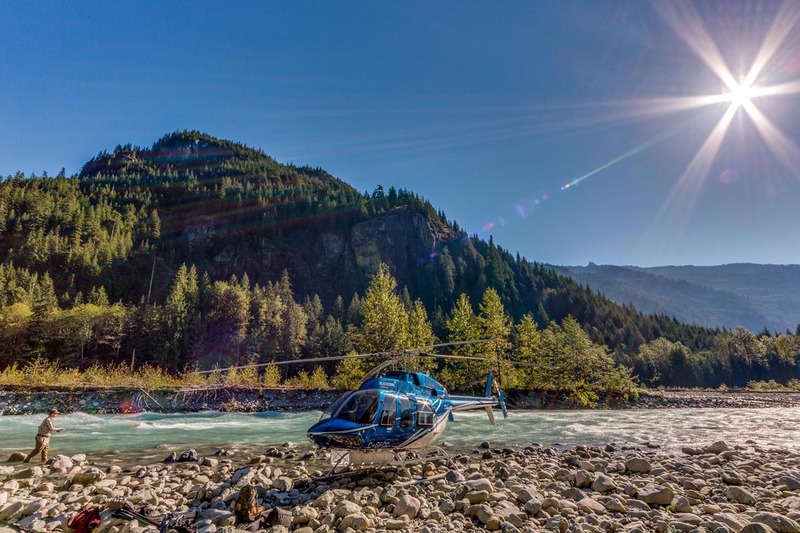 Your experience begins with transportation to and from our designated meeting location in Squamish or Whistler, where we will board your own private helicopter with your guides. From there, we will lift off and fly over the indescribable beauty of the British Columbia wilderness. View our heli-fishing gallery and get inspired! From there, we will arrive in a dream fishing location that will take your breath away. At Valley Fishing Guides, we provide all the gear you will need to set you up for success. We use only premium Sage rods and reels, flies, and will provide your group with Simms waders and boots. Be sure to check out the “What to Bring” list above depending on the season. Yes, we offer year-round heli fishing trips! Regardless of the season, you’ll want to think about dressing in layers to make sure you’re comfortable throughout the day. From there, our guides will provide instruction based on your experience level. Beginners should not be afraid of heli-fishing trips. Our experienced guides are there to make sure you enjoy every minute and are true professionals when it comes to fly fishing instruction. Even the most experienced fly fishers have commented on taking away new skills, without overbearing instruction. We also include a fabulous lunch and beverages on all our guided heli-fishing trips. What Fish Species will we fish? Because we fish year-round, the types of fish we will see will vary with seasonality. Depending on the time of year, we will fish for bull trout, wild rainbows or salmon and steelhead. Check out our page with more information on the different species seasons we fish. How much does helicopter fishing cost? 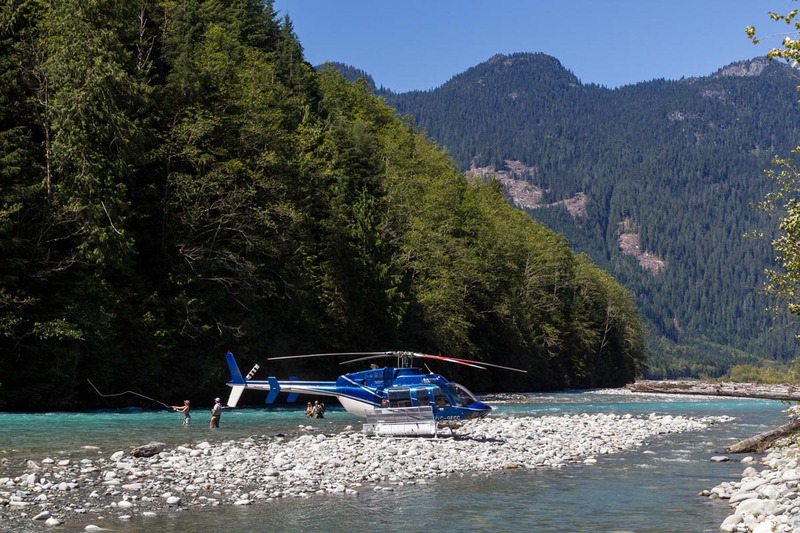 Whether you are an experienced fly fisher, or simply want to experience the best of British Columbia’s backcountry rivers, helicopter fishing should be on your bucket list. We can provide you a quote for your dream heli fishing trip after speaking with you to understand your goals for your personal day of heli-fly fishing. Each trip is customized to group size and various other factors. Use this form to start your inquiry, or just give us a call at 1-877-858-7688.